For most of us, the calorie is just a number on the back of the packet or on the display at the gym. But what is it, exactly? And how did we end up with this one unit with which to measure our food? Is a calorie the same no matter what type of food it comes from? And is one calorie for you exactly the same as one calorie for me? To find out, we visit the special rooms scientists use to measure how many calories we burn, and the labs where researchers are discovering that the calorie is broken. And we pose the question: If not the calorie, then what? The calorie seems to be an obvious measurement for food. But, in fact, it took hundreds of years and thousands of experiments to nail down what exactly the calorie means, both as a measurement of the food itself (that is, how much energy is contained in the form of a cheeseburger) and a measurement of consumption (how much energy we cheeseburger-eating humans burn as we go about our daily lives). With assistance from nutritionist Marion Nestle, author of Why Calories Count: From science to politics, we trace the calorie's earliest history, from an obsessive-compulsive Italian who invented a special chair with which to measure everything he ate, drank, and excreted over a thirty-year period, to the French chemist who put a guinea pig in a coffee urn to measure how much heat it gave off. Then we travel to the USDA laboratories in Beltsville, Maryland, to check out the way scientists measure calories today: by putting people in tricked-out walk-in coolers and freeze-drying their feces. 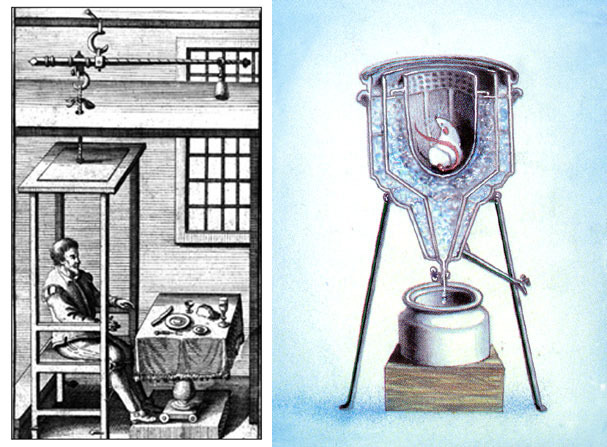 IMAGE: (Left) Santorio Sanctorius's weighing chair. (Right) Lavoisier and Laplace's Ice Calorimeter (Diucênio Rangel/Nature Education). While we're in Beltsville, we also learn about intriguing new USDA studies that have found that, for some foods, the calorie counts on the label are off by double-digit percentages. Following this trail, we end up at Harvard, talking to anthropologist Richard Wrangham about the ways humans have learned to change the number of calories we get from our food by cooking it. And we dive into the differences in how people process calories by visiting microbiologist Peter Turnbaugh at UCSF, who points us to dramatic new research demonstrating the effect the tiny creatures in our gut have on the amount of calories we absorb. The University of Alberta's David Wishart offers us a glimpse of the future, in which truly personalized nutrition advice will evolve from the emerging science of how the chemicals in our bodies interact with all the different chemicals in the food we eat. And Susan Roberts, director of the energy metabolism laboratory at the Tufts USDA nutrition center, suggests an alternative unit as a replacement for the traditional calorie. 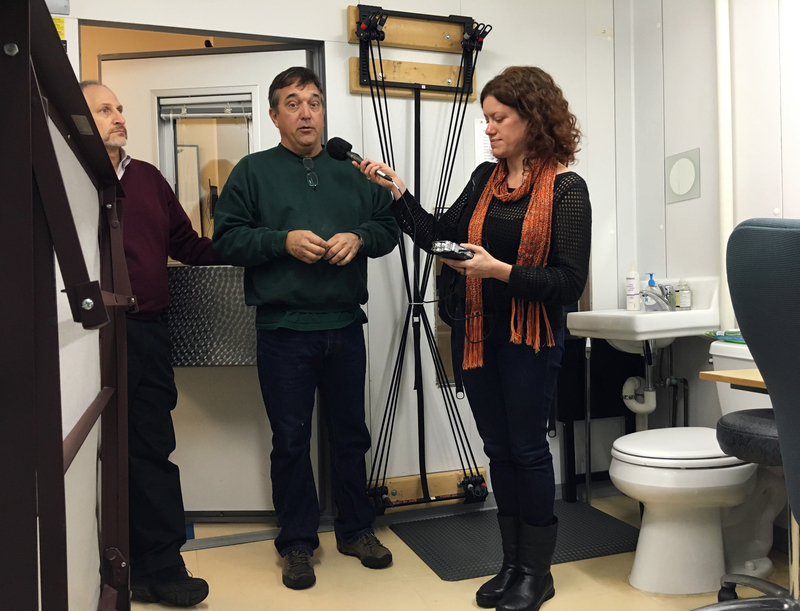 IMAGE: David Baer, Bill Rumpler, and Cynthia inside the human calorimeter at the USDA in Beltsville, Maryland. Listen for all this and more, and then tell us what you think of the calorie. Do you find calorie labels useful, or is counting calories the bane of your life? Let us know! David Baer and Bill Rumpler both work at the Food Components and Health Laboratory at the USDA-ARS headquarters, in Beltsville, Maryland. Check out Baer and his colleagues' papers on the difference between the calories on the label and those our bodies can extract for almonds and walnuts. 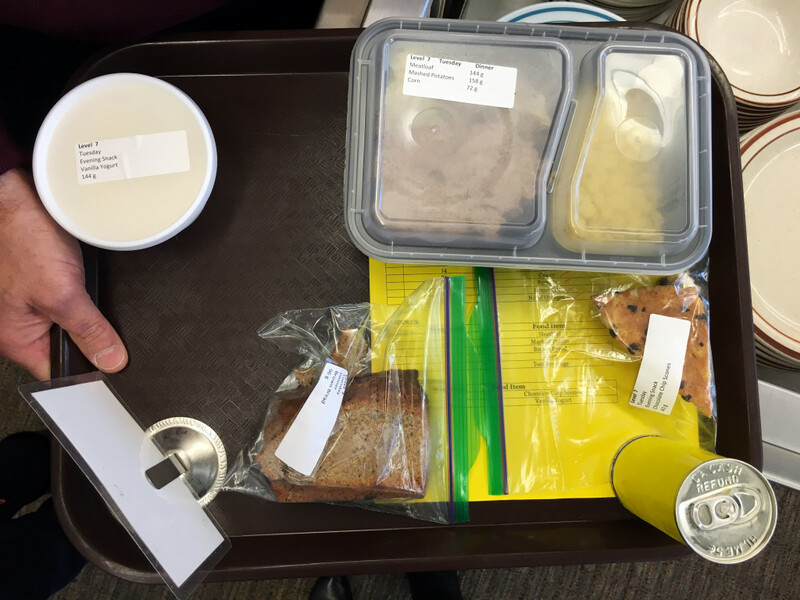 IMAGE: Dinner for research subjects at the USDA Food Components and Health Laboratory (Photo: Nicola Twilley). 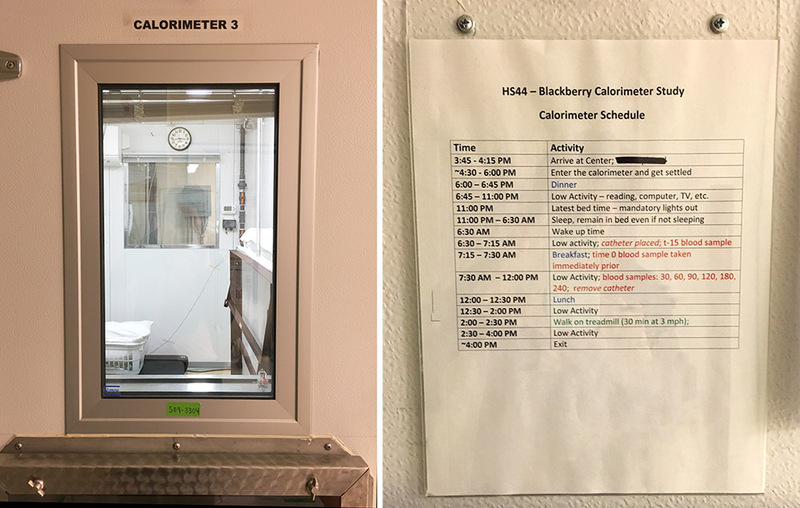 IMAGE: Human calorimeter research at the USDA Food Components and Health Laboratory (Photo: Nicola Twilley). Richard Wrangham is the author of Catching Fire: How cooking made us human. His co-authored paper on the difference that cooking makes to the availability of calories in meat was published here. David Wishart's research group is based at the University of Alberta. You can check out the Human Metabolome Project Database online here. And the Israeli study on personalized nutrition based on individual glycemic responses is available online here.